A family favorite. My grandma used to make this every time we would visit them on the farm in Canada. Dont be afraid to make more than a pound of meat balls. Theyre the best part. Prepare noodle soup according to package. Add dry vegetable soup and reduce heat to low. Combine crushed saltines, eggs, nutmeg, and ground beef and form into 3/4 inch meatballs. 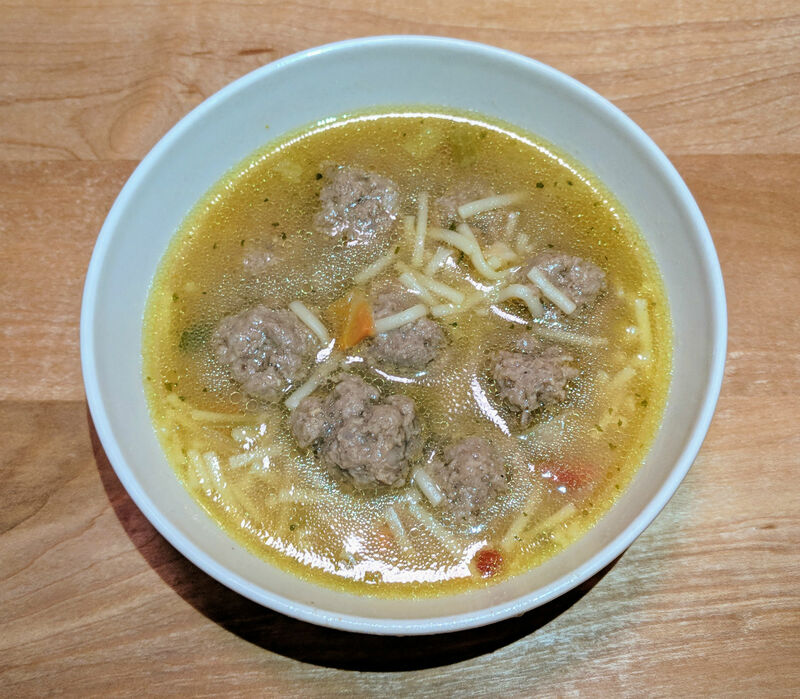 Add meatballs to soup and cook on low for about 30 minutes.